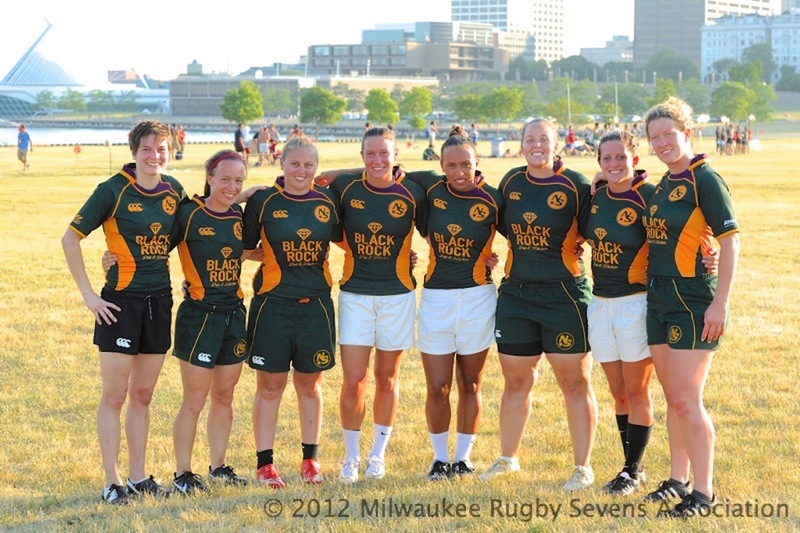 With the fourth and final Sevens Qualifier complete, I am happy to announce that Chicago North Shore have captured the top-spot in the women’s Midwest Sevens Qualifier series with 48 points and a 348 PF/PA differential. On the men’s side, the Lions (Chicago) finished first with 68 points (416 point differential) after wining all 4 events. The Youngbloodz (Minneapolis) finished second with 52 pooints (307 differential point) after finishing second in each event behind the Lions. In a repeat of the first Qualifier, Chicago North Shore tuned up the heat on the Youngbloodz to rack up a 34-0 victory. The win leaves North Shore and Youngbloodz each with 28 points at top of the Midwest table. 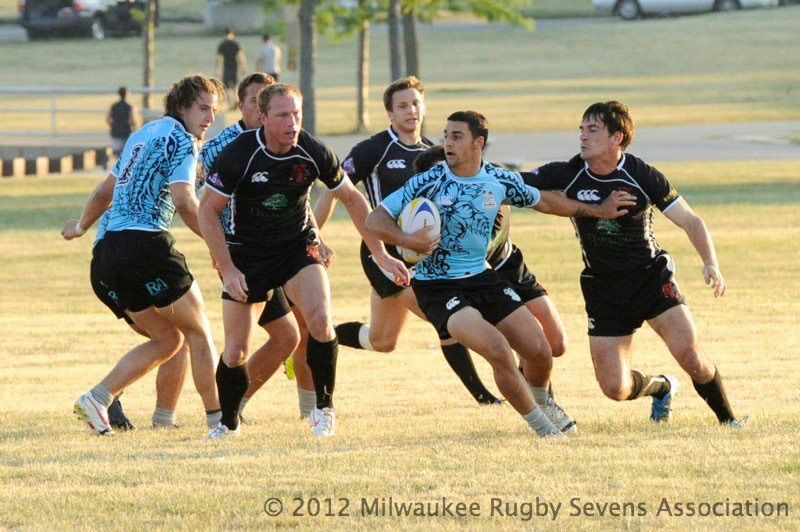 Today the Chicago Lions defeate Youngbloodz 31 – 14 to win their second consecutive Qualifer event in the 4-event Mdwest Sevens series and retain their grip at the top of the Midwest table. Championship Match: Ninjas 12 – 10 Veliciraptors. 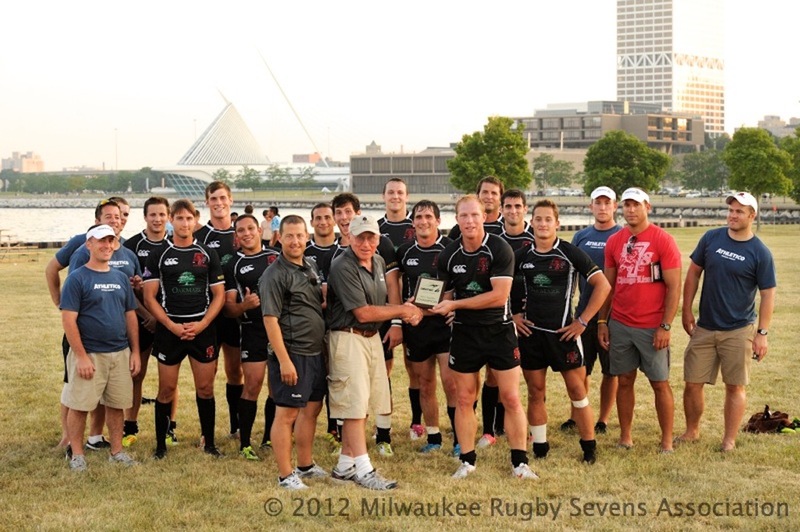 Championship Match: Condors 24 – 12 Renegades. Championship Match: Krakens 54 – 0 Naperville. Championship match: Savage Nation 45 – 0 Youngbloodz.